“What have I realized in 2013? To be honest, just nothing”, Denis wrote in his blog at the turn of the year. “It was full of pain, horror and destroyed hopes. After the death of Alexei Bolotov I was unable to face myself in the mirror, I was ashamed and hurt.” Urubko and Bolotov had planned to open a new route via the Southwest Face of Mount Everest in spring 2013. 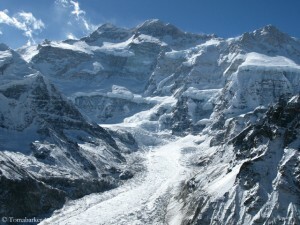 But not far away from basecamp, Bolotov fell to death. He had been abseiling, when the rope broke on a sharp edge of rock. The 50-year-old, one of the best and most experienced climbers of Russia, fell down about 300 meters and died instantly. 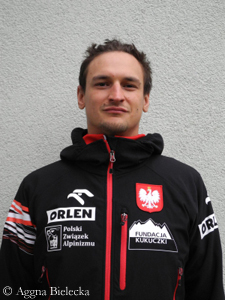 The Polish climber Adam Bielecki has to overcome a trauma too. In March 2013, after he and three fellow countrymen had succeeded in making the first winter ascent of Broad Peak, Maciej Berbeka and Tomasz Kowalski died during the descent. Later the Polish Mountaineering Association (PZA) accused Bielecki for having let his companions down when he started descending alone before the others. This did not conform with the ethics of mountaineering, said the final report of the PZA. Adam defended himself: “I was near to panic and fighting for my life.” Now Bielecki only wants to look forward. 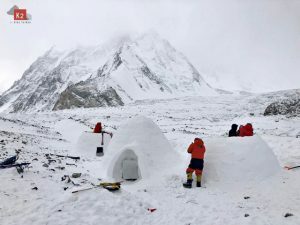 A dream could come true on Kangchenjunga, the 30-year-old climber said in an interview with off.sport.pl: “A new route into terra incognita, where really nobody still has left his footprints! 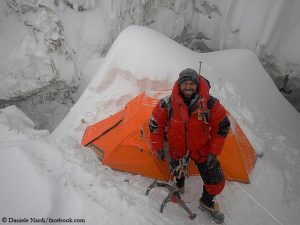 This is like a grail for many travellers or mountaineers.” Before the Broad Peak winter expedition Bielecki – in 2012 with his compatriot Janusz Golab – had also made the first winter ascent of Gasherbrum I. At that time the Basque Alex Txikon belonged to the team of the Austrian Gerfried Goeschl that tried to climb G I on a different route and to traverse the summit. Txikon abandoned the last summit attempt while Goeschl, the Swiss Cedric Haehlen and the Pakistani Nisar Hussain continued to climb up. They are missing since then. 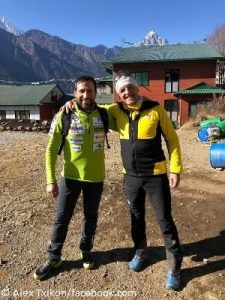 In 2013 Txikon and José Manuel Fernández succeeded in making the first winter ascent of the shapely 6000er Laila Peak in Pakistan. 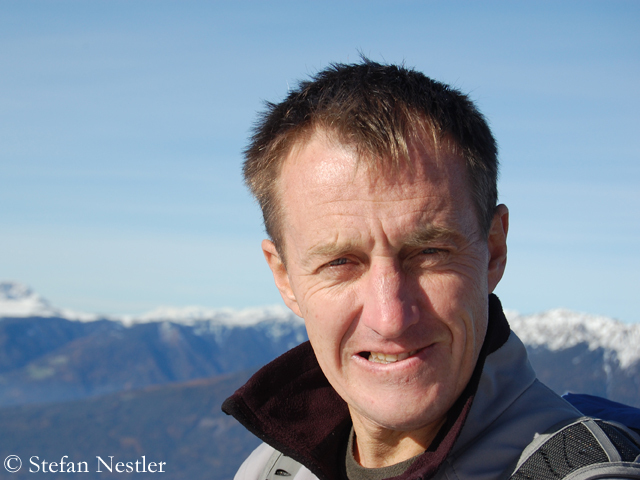 The following spring, Alex stood on the summit of Lhotse which was his tenth of the 14 eight-thousanders. Kangchenjunga is still missing in the collection of the 32-year-old climber, who has also been making headlines as a basejumper. 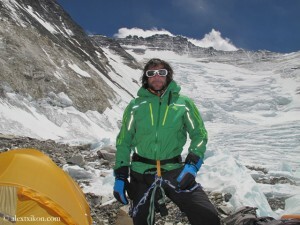 The fourth member of the team, the Russian Artem Brown, is still a dark horse in the high-altitude climbing scene. Kangchenjunga is located on the border between Nepal and the Indian state of Sikkim. With 8586 meters it is the third highest mountain in the world. 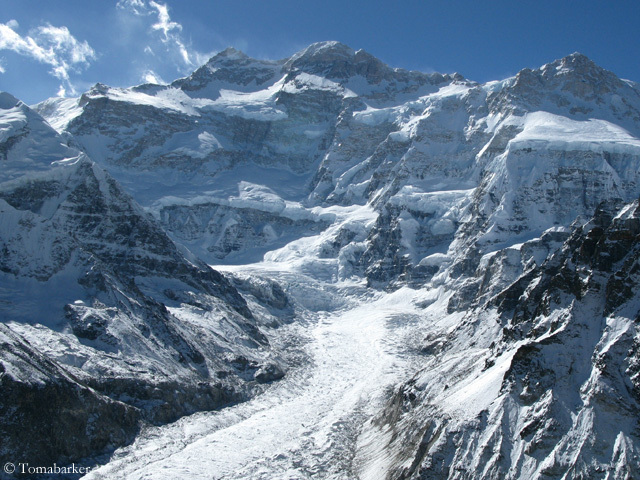 Today’s normal route runs via the south side of Kangchenjunga, where also the British climbers George Band and Joe Brown made the first ascent in 1955. The first route on the north side was opened in 1977 by an Indian expedition.